The process is hassle-free. Ohria shares a multiple-choice questionnaire; you fill it and send it back. They study it, determine your dosha and prescribe products and lifestyle changes in accordance to it. I find the questionnaire much more comprehensive than I expected. It probes about body type, digestion, menstruation, sleep patterns, memory, stamina and more. And I answer in as detailed a way as I possibly can, even adding my own notes in the margin where I feel the options unsuitable in my eagerness to engage with this ancient Ayurvedic ritual dating back centuries. Ohri reveals that I am a mixture of vata and kapha (the former being my ‘primary dosha’). “You can display traits of any one or a combination of both. The qualities of vata are dry, rough, thin, slender, restless, lively and creative. Bones are weak. They work quickly and get tired quickly. Kaphas have a large frame, are stable, lazy, with thick lush hair, moist skin, dense bones. They are calm, grounded and loyal,” she rattles off. But what a vata-kapha skin usually means is dryness on cheeks, skin, hair, hands and feet, with open pores, oily T-zone, she confirms, much to my dismay. Not much luck in the hair department either — “although thick in youth, hair fall causes thinness during later years. They are also dry and brittle,” Ohri says. The vata emotional make-up can be prone to nervousness, over thinking, anxiety, insecurity. Toxins result in backaches, and when accumulated in the small intestine, these are poisonous. These are called ama in Ayurveda, I am told. “Consuming ghee slowly removes these and it enhances the ojas or life energy and makes the body healthy. The kapha traits that may manifest are calmness, groundedness and loyalty,” she finishes her evaluation. Some of it may be easy to glean from my answers. But I’m impressed. So I slam her with my list of chief peeves — hair fall, an oily T-zone, brittle nails, a weak back, lack of energy and fitness. 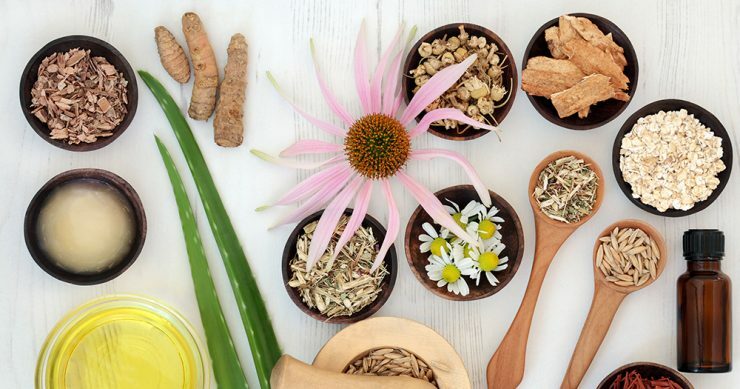 Ayurveda attempts to plug the gaps in health, skincare and beauty by maintaining the right balance — between environment, body, spirit and mind, much like yoga. And because a big part of it is about cultivating a balanced lifestyle — eating right, being mentally stable and at peace and keeping one’s body flexible and fit — I’m urged to start right away, even before the Ohria products can find their way to me. I am to begin each day with a mix of exercises and yoga — tadasana, the cat pose, planks, pranayama — in order to improve my posture and strengthen my back. This is to be supplemented with 100-per-cent-natural calcium citrate tablets that come with vitamin D and an energy-boosting juice made of carrot, tomato, amla, beetroot, ginger, lemon, organic black sesame seed powder and black salt. Thrice a week she advises me to follow it up with an early morning calcium- and iron-rich drink of sattu powder and jaggery. In case I can’t palate the taste, I can switch it up by adding one spoon of sattu to my roti flour. She also advises I use ghee instead of cooking oil. “This is to combat the dryness in your body and to strengthen joints and bones. Ghee in Ayurveda is also known to remove toxins from body, and is readily absorbed. It is rich in Vitamin E and beta carotene, and nourishes the nervous system. It lubricates the tissues to cure aches and stiffness. Ohri is full of bright ideas like these and radiates an earnestness that makes you want to follow her advice. She is happy to answer all your queries — no matter how many or how longwinded — and even points me towards organic brands and guided meditation videos I can trust, going the extra mile by providing links on Amazon and YouTube. For anyone who has never gone organic or tried yoga, and for who the ocean of options can feel overwhelming, I can’t emphasise enough the value of this gesture. Within the first week itself, I am definitely more at peace even as I realise that it is a slow process, as all natural remedies are. And although the process is challenging especially in a time-starved city like Bombay, I am already looking forward to part deux of my routine — the beauty regime — although it will leave me even more pressed for time. 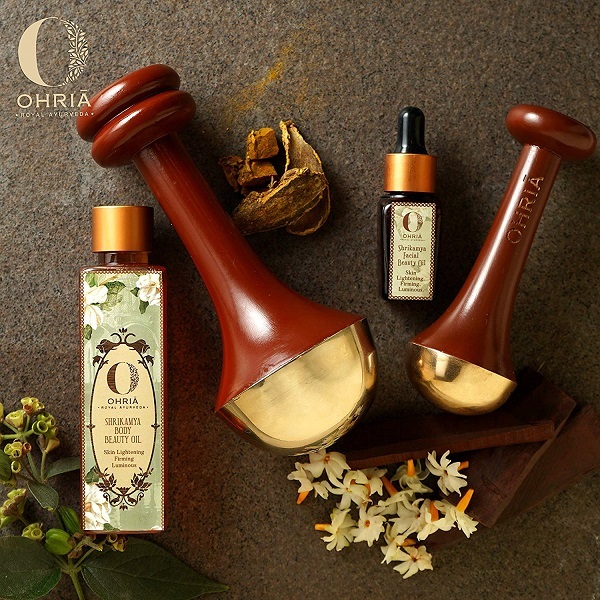 As expected, in a few days’ time, I get a promising package comprising heavenly-smelling oils, butters, gels and masques from Ohria. The rose and honey hydrating gel is to be applied on my T-zone before the sunscreen every morning to battle the oiliness that leads to acne. Saffron and geranium butter is a blend of kumkumadi herbs in pure cow’s ghee, kokum butter and beeswax with the essential oil of geranium. An ancient formula used by queens to impart a healthy glow and hydrate skin. “Your vatadosha has made the skin dry but sensitive so we need to give you a blend that would curb inflammation or sensitivity issues. It is 100-per-cent natural, and it nourishes, hydrates and delays ageing. Besides, geranium essential oil is oil-balancing.” It’s one of their priciest and also most low-maintenance products. I’m told to apply it on my face and wipe it off in just five minutes, with lukewarm water. Next, I unbox a vial of natural sesame oil, reportedly one of their best products. “We have sent it to you in a travel-friendly size so that you can keep it in your bag. You can apply it on your nails every time you wash your hands while the nails are moist. This one is loaded with calcium and iron and will strengthen your nails that have been breaking, splitting from the middle and peeling,” Ohri had said. It is exactly this kind of thoughtfulness that sets her apart. Were it just to lie at home — which is definitely where I spend the least amount of my waking hours — it would not be of much help at all because the trick is to use it frequently. 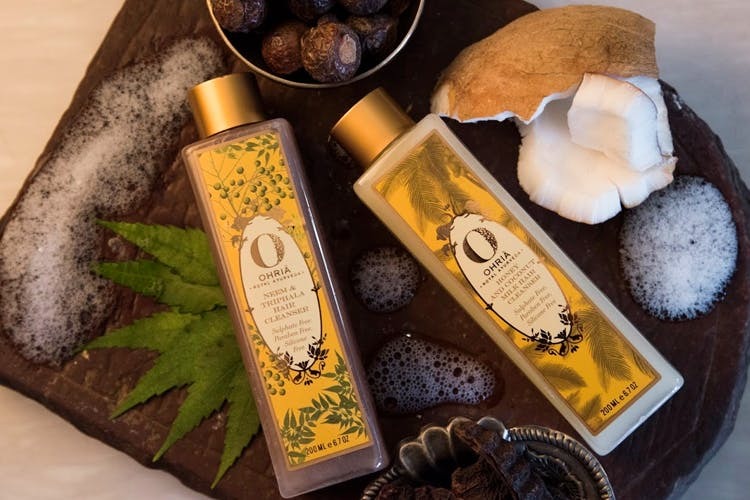 To prevent hair fall, I’m given two more no-fuss products: the Japa Pushpa hair oil to use before bath (“No massaging, simply apply on roots by parting the hair and then along the hair length”) and the Banyan Root Hair Tonic that requires no rinsing. It’s been a few months and I can definitely see a difference when it comes to my hair, nails, skin and overall mood and wellbeing. And although I can’t tell with surety about the impacts it’s going to have on my body and mind long-term, this act of reclaiming my life and being productive with my time has certainly become my ikigai — a Japanese concept that stresses on finding the activity or preoccupation that provides you with the impetus to get up from the bed in the morning. This routine is, on many levels, just what I needed to take charge of my life, infuse it with a solid shot of stability and move towards a more healthy and happy existence.